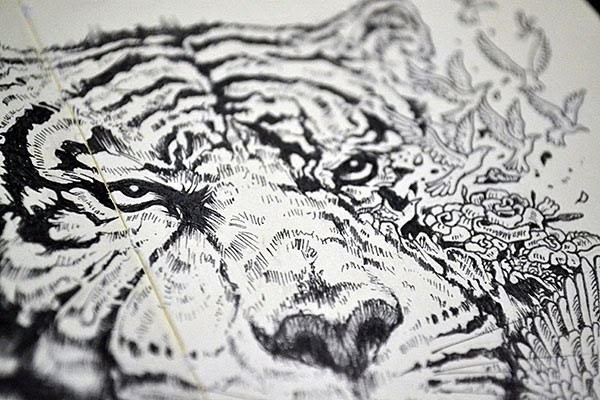 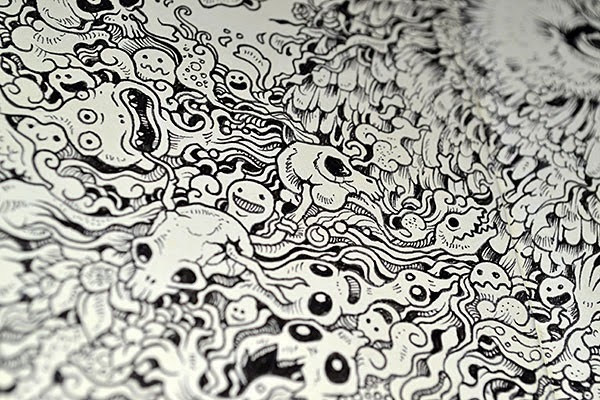 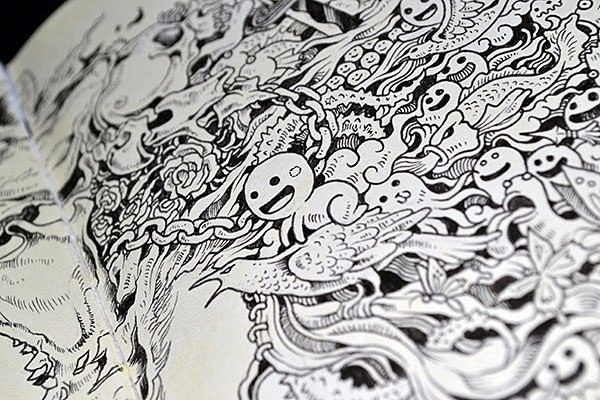 Intricate drawings consisting of whimsical lines, patterns, characters and little elements that are spontaneously combined to create each composition. 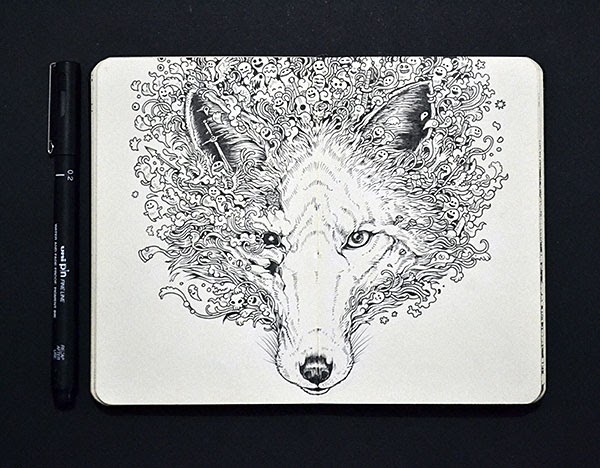 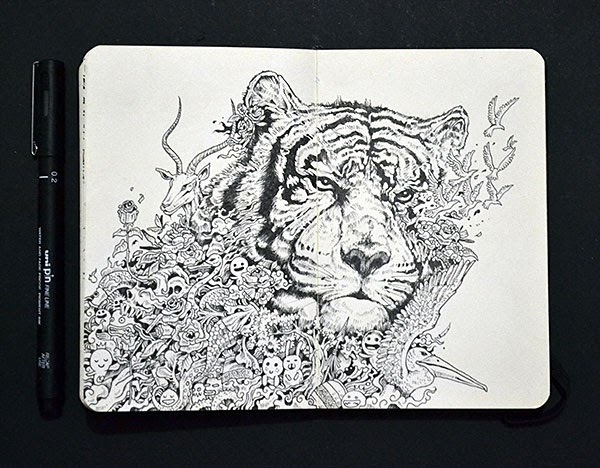 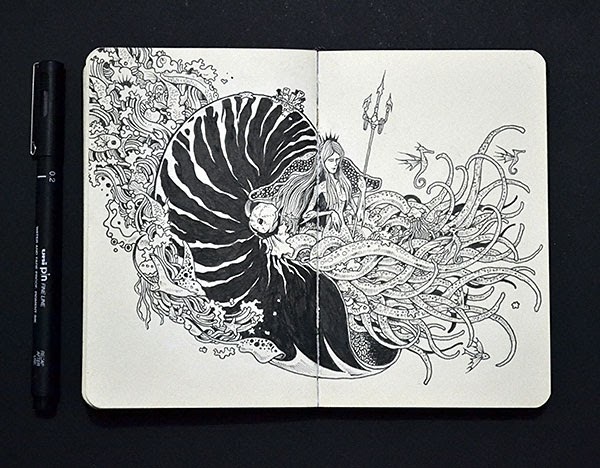 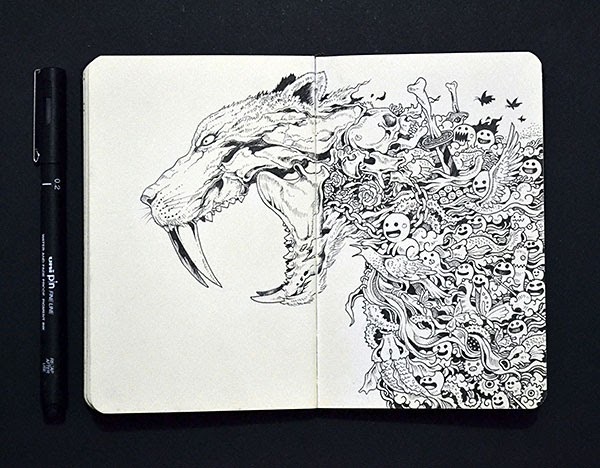 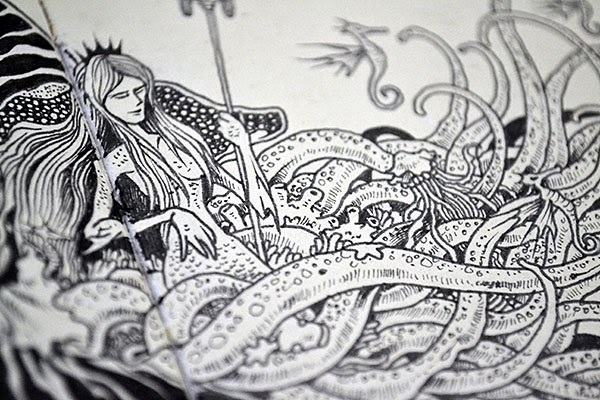 Moleskine Doodles is a project I started last year with the aim of practicing the skill of drawing spontaneously. 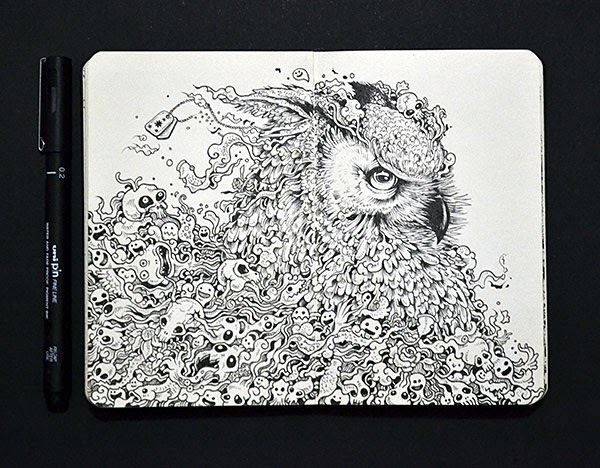 Using Uni Pin Fine Liners and a Moleskine pocket sketchbook, this series of illustration features my doodle creatures combined with interesting animals, monsters, random characters and other subjects that interest me. 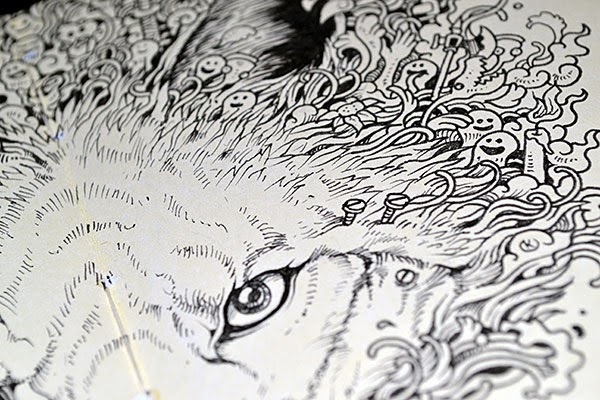 See also Sagaki Keita's work.